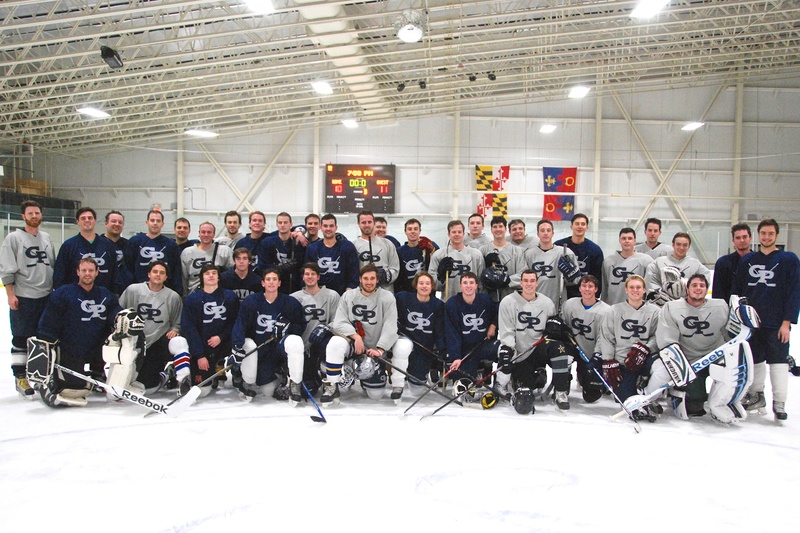 This year’s Scott Smith Alumni Game was played on November 25, 2015. We hosted over 130 guests, including alumni players their families and friends. The game, dinner and fundraiser were a success as it continued to build the Prep Hockey community, past and present, into one big happy family! Below is the picture of the GP alumni players with our current seniors who were able to play in the game. The game went into overtime, with the silver team winning 11-10. GO PREP HOCKEY! The Scott Smith Award for Excellence was presented to Dave Chadwick, long time manager of the Varsity team under Sean O’Leary. More information on Dave can be found here. The Bob Kemp Outstanding Alumni Award was presented to C.J., Joey, and John Kemp, three of Bob’s sons who had storied sports careers at Prep and beyond. More information on the Kemps can be found here.